In celebration of the movie event of the year, the impending release of Avengers: Age of Ultron, Marvel is featuring a one month free trial for Marvel Unlimited, for new and returning subscribers. Access to over 15,000 digital Marvel comics for an entire month? Get ready not to sleep during May! 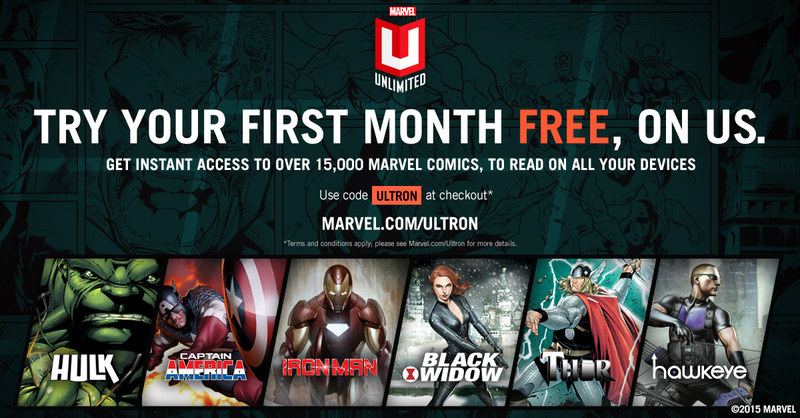 To access your free month you need to use Promo Code ULTRON at Marvel Unlimited Checkout. Marvel Unlimited is accessible on the web and through the Marvel Unlimited app for iPhone®, iPad® and Android™ devices. So what are you waiting for, get signed up now!